The Quick Vault XL wall safe by V-Line is perfect for concealing small valuables such as a digital camera, ipod, keys, or some extra cash. This unit is designed to fit in between wall studs, and the attached bezel gives a clean, finished look hiding the drywall cuts. 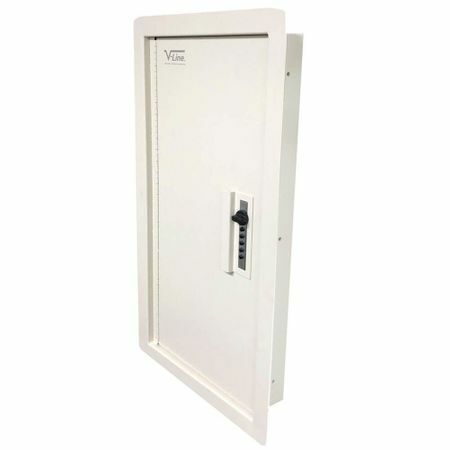 This model the XL version is perfectly inbetween the other V-Line wall safes: 20" taller than the standard quickvault and 19" shorter than the Closet Vault. 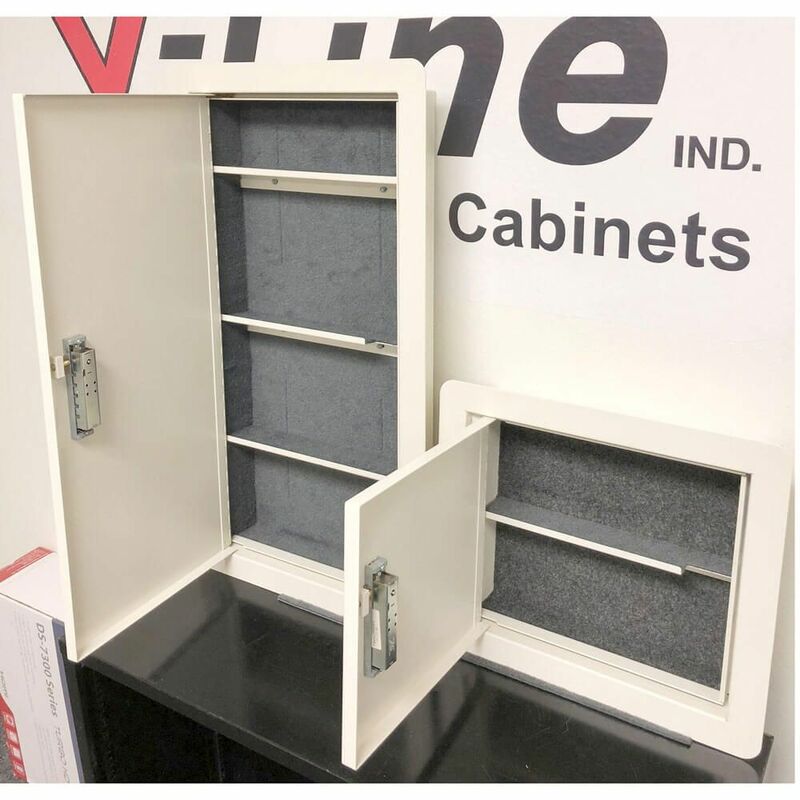 The door and locking mechanism is recessed from the face of the wall providing excellent pry resistance and making it easy to install a picture or a mirror over this safe. 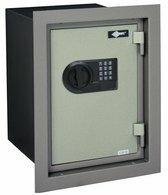 The Quick Vault XL wall safe has a high security user-friendly mechanical lock capable of setting one of 1,081 different combinations. 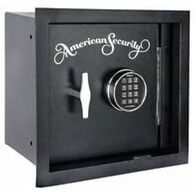 Since it's mechanical, there are no batteries to replace and no keys needed to open the safe. 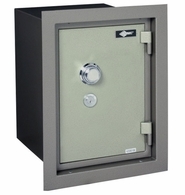 The interior of the Quick Vault XL wall safe is lined with felt which helps keep the contents inside scratch-free. Three adjustable felt-lined shelves provide additional storage space. 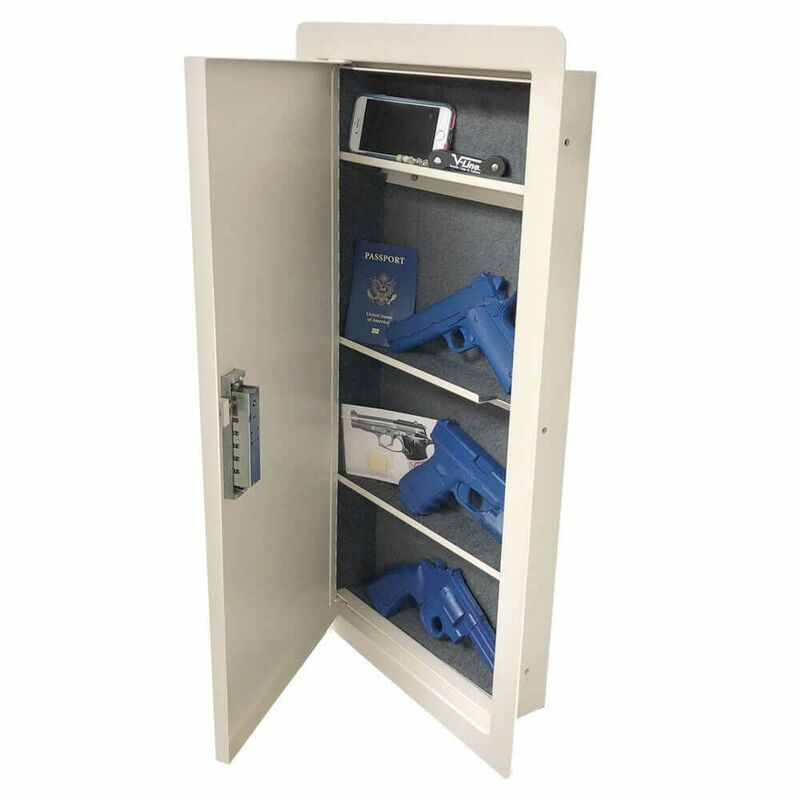 The Quick Vault XL is an easily-hidden wall safe, yet it's large enough to comfortably hold a handgun, wallet, jewelry, and other small valuables. 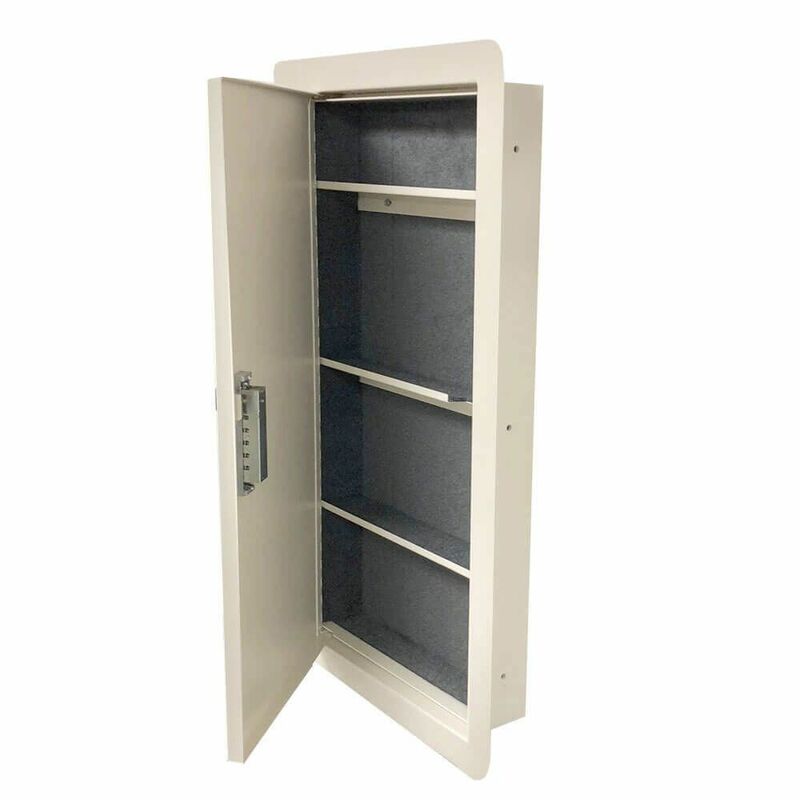 This unit is currently pending as a California Department of Justice approved handgun safe, tested and proven to stand up against light attack. 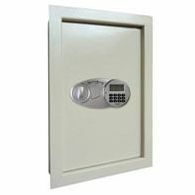 If you want a quick and reliable wall safe, this is the safe for you. While wall safes offer great security being easily hidden and surrounded by wall studs, these same features also make them extremely susceptible to moisture problems. Keeping papers and valuables inside zip lock bags and Tupperware help when experiencing a fire or flood, humidity will still seep inside causing mildew and corrosion. We strongly recommend using a Lockdown Silica Gel Can to absorb this moisture and keep your valuables safe. It's a small, rechargeable unit that has a color indicator letting you know it's full and needs to be renewed. You should open your safe (especially after initial installation) frequently to assess moisture and check the silica gel. How often the units need recharging depends on your climate and how often you are in your safe. For any questions regarding humidity and moisture, give us a call at 800-827-7534.